The NVC team shares impressions of Sonic Mania for Switch, debates flight vs. invisibility, and suggests five improvements to make Splatoon 2 even better. Nintendo's weekly show delves deep into Nintendo's past in arcades: From Wild Gunman to Killer Instinct. Metroid, Super Mario Odyssey, and Oterrible news. A special segment of Nintendo Voice Chat was recorded at E3 2017! Nintendo's Bill Trinen joins the show to talk a little more about Super Mario Odyssey, and the plumbers return to a sandbox-style platforming game. This week on NVC, we talk about Nintendo's Direct presentation for Arms. We also discuss Thumper, Ultra Street Fighter II: The Final Challengers, and Splatoon 2's fantastic single-player trailer. Join host Jose Otero, Peer Schneider, and Brian Altano for another fun episode. This week on IGN's Nintendo show, join host Jose Otero, Peer Schneider, and Brian Altano as they talk about Minecraft and NBA Playgrounds on Switch, the nostalgic feel of Fire Emblem Echoes: Shadows of Valentia, and Nintendo's three-part E3 plan. This week on NVC, we discuss the announcement of the New Nintendo 2DS XL (and what it means for the near future), Breath of the Wild's first DLC pack details, and why Nintendo might be getting a little carried away with Fire Emblem Echoes DLC plans. IGN's Nintendo show assembles to talk about Mario Kart 8 Deluxe. Puyo Puyo Tetris, Wonder Boy: The Dragon's Trap, Kamiko, Bye-Bye, Boxboy!, and more. Then, we dive into the numbers from Nintendo's fiscal results for 2017 meeting (Note: This conversation was recorded hours before New Nintendo 2DS XL was announced). We finally collected our thoughts on The Legend of Zelda: Breath of the Wild for a full spoiler cast. Join host Jose Otero, Peer Schneider, Brian Altano, and Brendan Graeber for a deep dive into this remarkable game. We have a special show for you this week! In the first half, we focus on reactions to Nintendo Direct April 12. Join host Jose Otero is join by Brian Altano and Marty Sliva for analysis of everything that was shown (skip ahead to 36:49). After the break, Peer Schneider and Brendan Graeber joins the program to talk about the discontinuation of the NES Classic and their thoughts on Mr. Shifty. This week, host Jose Otero, Peer Schneider, and Brian Altano share their thoughts after a month with Nintendo Switch. We also share our shopping tips for anyone who's looking to buy a system, and why Graceful Explosion Machine should be your next Switch game, if you're a shoot 'em up fan, and finally we answer a Zelda fan's query on The Question Block. This week on IGN's Nintendo show, we kick it off with our thoughts on the Splatoon 2 Global Testfire, Snake Pass on Switch, Zach's tales from the Wild, and why Rocket League would be great for Nintendo Switch. Join host Jose Otero, Peer Schneider, Brian Altano, and Zach Ryan for another fun episode. Can We Go Back to Old Zelda After Breath of the Wild? This week on NVC, we had to tear our editors away from their Switch units (and Zelda) to talk about your Question of the Week responses. Join host Jose Otero, Peer Schneider, Brian Altano, and Justin Davis for another fun-filled episode. IGN's Nintendo show returns with part two of our Nintendo Switch launch spectacular. Join host Jose Otero, Peer Schneider, Brian Altano, and Jonathon Dornbush for a deep dive into the Switch user experience. What did Nintendo get right? And where does the Switch need improvement? Also, we also talk about The Binding of Isaac Afterbirth+, World of Goo, Little Inferno, and Human Resource Machine, and an 18-minute spoiler free chat about Zelda: Breath of the Wild. This week, IGN's Nintendo talks about the Switch Launch. First, we dive into our hardware purchases and the rocky day of late shipments from Amazon, then we dive into the launch games (Snipperclips, Fast RMX, Shovel Knight: Specter of Torment, 1-2-Switch, and more). We also discuss some of the launch day issues (bent docks, scratched screens, and the weak wi-fi radio) before answering some of your questions on The Question Block. Join host Jose Otero, Brian Altano, Jonathon Dornbush, and Brendan Graeber for the first in a two-part episode all about the Switch. Team Tumbleseed, Team 17, Raw Fury, Vetrex Pop, and Nintendo's Damon Baker take a break from the Game Developers Conference to join the crew of NVC. Join host Jose Otero, Peer Schneider (and an interview assist from Jonathon Dornbush) as we talk about future games coming to Switch. This week on Nintendo Voice Chat, the crew shares their thoughts on Virtual Console games missing the Switch launch. Join host Jose Otero, Peer Schneider, AAlanah Pearce, and Brendan Graeber as talk about the Switch hardware in great detail before they spend 10 minutes in a spoiler-free discussion about Zelda, along with another segment of the Question Block. This week on NVC, we get into a slightly heated debate over Zelda: Breath of the Wild's expansion pass and the future of Nintendo DLC. Then, Bill Trinen, from Nintendo Treehouse, joins us to discuss 1-2-Switch and Breath of the Wild. It's an IGN UK podcast invasion! This week, host Jose Otero is joined by Alanah Pearce and special guest Daniel Krupa and Gav Murphy. The crew discusses some Switch games they've played at hands-on events, some new info from a series of Time interviews, and they answer viewer questions on the Question Block. This week, NVC has more positive hands on impressions of the Switch before we dive into our questions and concerns about Nintendo paid online service. Join host Jose Otero, Peer Schneider, Miranda Sanchez, and James Duggan for another great episode. Special guest and video game historian Steve Lin joins host Jose Otero, Peer Schneider, and Brian Altano this week. Join us as we talk about Fire Emblem Heroes, Our hope and fears for Nintendo Switch, and look at some rare artifacts from Steve's collection. IGN's Nintendo show returns! Join host Jose Otero, Alanah Pearce, Zach Ryan, and CJ Gibson, as the crew talks about their hands-on experience with the Nintendo Switch, what Nintendo did got right and wrong, and the expensive ecosystem surrounding Nintendo's new platform. Nintendo Switch Announcement Reactions: What Squid We Think? IGN's Nintendo show has a brand new set in 2017! Join host Jose Otero, Peer Schneider, Zach Ryan, and Brian Altano for a review discussion of Nintendo in 2016. Then, stick around for our final Switch predictions game! Welcome to the last Nintendo Voice Chat episode of 2016! Join host Jose Otero and Peer Schneider as they discuss IGN's Super Mario Run review, the announcement of Super Nintendo World, and how the Nintendo's Switch patents shed a little more light on the device. Nintendo gave the first public demo of the Switch on The Tonight Show!?! This week the crew of NVC have a lot to talk about. Host Jose Otero, Peer Schneider, and Jonathon Dornbush gather to share their thoughts on the device. We also talk about Zelda: Breath of the Wild at the Game Awards, Pokemon Go's update, and more. IGN's Nintendo show leads off with a pair of reviews for Pokemon Sun/Moon and Super Mario Maker 3DS. After the break, we dive into a mega-sized Question Block with queries from our community. Nintendo Voice Chat: What Does NES Classic Mean for Virtual Console on Nintendo Switch? Wired's Chris Kohler joins host Jose Otero and Jared Petty this week. Kohler's book Power Up: How Japanese Video Games Gave the World an Extra Life is back in print! We spend some time discussing the book and Chris's new chapter. What does the NES Classic Edition mean for Virtual Console on Nintendo Switch and the future? Nintendo Voice Chat: Why Didn't Nintendo Talk About Switch's Rumored Touchscreen? IGN's Nintendo show is here. Join host Jose Otero and Peer Schneider, as they share their take on why Nintendo didn't talk about the rumored Switch touchscreen, and their top five favorite games on Nintendo handhelds. IGN's Nintendo show returns with a slightly unorganized episode this week. Join host Jose Otero, Peer Schneider, Kallie Plagge, and Brian Altano for a discussion about Animal Crossing's Welcome amiibo update. Also, stick around for review impressions of the NES Classic Edition. John Davison from Glixel, a new site focused on game culture from Rolling Stone, joins host Jose Otero, Peer Schneider, and Brian Altano to talk about the Nintendo Switch. Tune in, and listen as the crew shares their thoughts about the few things we've learned since Nintendo lifted the covers off its new gaming hardware. The Nintendo Switch has been announced. Here's our reactions -- and predictions. IGN's Nintendo Show is late this week, but it's still full of great conversations. Join us this week as we look back at Nintendo's actions in the Wii U era and we resurrect the SNES Classic list and give it an update. Join host Jose Otero, Brian Altano, and Peer Schneider for another fun-filled episode. IGN's Nintendo show is back! This week host Jose Otero and Peer Schneider talk about the news before sharing their thoughts on Paper Mario Color Splash. IGN's Nintendo Show is back! Host Jose Otero returns from vacation, and he's joined by Peer Schneider, Brian Altano, and Jared Petty to talk about Dragon Quest VII (finally!) River City Tokyo Rumble, Pokemon GO Plus, Sonic Boom: Fire and Ice, and hands on with the adorable NES Classic Edition. After the break, Jose, Brian, and Peer talk speculate on when and how Nintendo will reveal NX. It's the end of September, and Nintendo still hasn't shown it brand new hardware concept to the world. Join us as the core NVC crew makes its best guess on the pending announcement, assuming the release month of March 2017 does not slip. IGN's weekly Nintendo discussion show tackles the surprise news of the week: Super Mario Run is coming to iOS this Holiday. And we played it. Join host Jose Otero, Peer Schneider, and Brian Altano, as they share their reactions to Nintendo & Apple's big announcement, the revised Nintendo mobile plan, and more. After a brief hiatus IGN's Nintendo show returns! Join host Jose Otero, Peer Schneider, and Jonathon Dornbush, as they catch up on two weeks of Nintendo news before jumping head first into everything that happened in this month's Nintendo Direct. Read IGN's wrap up of the festivities if you missed the video presentation. GameXplain's Andre Segers joins host Jose Otero, Peer Schneider, and Brian Altano to talk about our favorite Metroid memories, as the crew humbly celebrates the series' 30th anniversary. Then, the crew discusses the Metroid 2 fan remake that Nintendo shut down, and ANOTHER NX rumor involving a new patent. Finally, Andre submits his five game choices for a SNES Classic Edition. IGN's Nintendo show is back with a new episode! Join host Jose Otero, Peer Schneider, and Jared Petty, as the crew discusses MCV's NX rumor. Then, the show switches over to the crew of IGN's Pokemon Secret Base, as Kallie Plagge, Miranda Sanchez, and Andrew Goldfarb discuss some big changes coming to the next generation of Pokemon. Finally, Jose, Peer, and Jared close out the show with the first in a series of discussions about the lineup of games for a potential SNES Classic Edition. The world turned upside down this week on Nintendo Voice Chat. Host Jose Otero is joined by Brian Altano, Andrew Goldfarb, and (subbing in for Peer Schneider) special guest Jeff Gerstmann to talk about Nintendo's rough Q1 loss, the delay of the Pokemon GO Plus, and some fresh NX DAS HYPE courtesy of Eurogamer's NX rumor story. Join IGN's Nintendo show for another fun-filled episode. This week, host Jose Otero is joined by Peer Schneider and Brendan Graeber to talk about Nintendo's recent stock price spike, Animal Crossing New Leaf's surprise amiibo update, the final Splatoon Splatfest, 5 Pokemon GO tips, Metroid Prime Federation Force's 3DS eShop demo, and The Question Block. IGN's Nintendo show has quite a lineup for you today! Video game collector and historian Steven Lin joins the cast of NVC this week to talk about the unprecedented success of Pokemon GO. Later, Armando Torres and Mike Mamon (from IGN Syndication's Voltron) join the show to talk about Monster Hunter Generations. Finally, host Jose Otero, Peer Schneider, and Brian Altano close out the show discussing the NES Classic. IGN's Nintendo crew hosted a special live recording of NVC on July 7, 2016. Listen in as host Jose Otero, Peer Schneider, Brian Altano, Sam Claiborn and guests talk about hype and the reality surrounding Nintendo's third home console. IGN's Nintendo show returns and host Jose Otero, Brian Altano, and Peer Schneider just can't stop thinking about Zelda: Breath of the Wild. But we have a much better show in mind for you. First, the crew discusses some recent releases (Rhythm Heaven Megamix, Mighty No. 9, LEGO Star Wars The Force Awakens) before they dive back into more Zelda talk. After the break, Andrew Goldfarb, Kallie Plagge, and Miranda Sanchez join the show to share their experiences from the Pokemon Go Field Test that ended this week. In this special episode of Hyrule Times Vol. 2 from E3 2016, Nintendo's Bill Trinen joins host Jose Otero, Brian Altano, and Peer Schneider to talk about their adventures in The Legend of Zelda: Breath of the Wild. Trinen also shares his fond memories for Zelda: Majora's Mask, Link's Awakening, and more. This week's Nintendo Voice Chat is jam packed with a great lineup of contributors. Tune into the first half of our show, where host Jose Otero is joined by an elite Pokemon panel of Miranda Sanchez, Armando Torres, and Kallie Plagge, as the crew reacts to the latest Pokemon info. Then, after the break, Otero is joined by Brian Altano, Peer Schneider, and special guest David "GrandPOOBear" Hunt to talk about speedrunning, the eternal struggle between Nintendo and the Super Mario Maker community, and the rest of Nintendo's E3 2016 schedule. IGN's Nintendo show returns. This week host Jose Otero, Brian Altano, Andrew Goldfarb, and Alanah Pearce discuss the manic fun of Kirby Planet Robobot, Morgan Stanley's mysterious NH (and how it's just speculation), Minecraft's new battle mode, Monster Hunter Story's amiibo in Japan and more. Nintendo Voice Chat: Making Sense of NX's "New Way to Play"
Nintendo CEO and President Tatsumi Kimishima spoke about the company's interest in making feature films using its beloved characters. But Kimishimmy-y'all-shimmy-ye-shimmy-yeh didn't stop there: He also briefly talked about how NX will focus on a new way to play. Join host Jose Otero, Brian Altano, and Peer Schneider, as the trio tries to make sense of these recent statements. Nintendo Voice Chat: Off to the Races! IGN Persona super fan Andrew Goldfarb joins the cast of Nintendo Voice Chat this week to talk about Tokyo Mirage Sessions, and why it might be the perfect game to keep you busy until Persona 5 comes out on PS4 later this year. Mr. Goldfarb also weighs in with host Jose Otero and Peer Schneider on the recent news that Nintendo will kick off E3 2016 with a Treehouse Live stream of the next Legend of Zelda. After the break, Jose and Peer go gaga for Pocket card Jokey and answer your questions on the Question Block. IGN's Nintendo show has a slightly sour episode for you today all about Nintendo's E3 plans (so far). First, NX is coming in March 2017 but it won't be at the show. The next Legend of Zelda is delayed until 2017 as well, but its also coming to NX. Join host Jose Otero, Peer Schneider, Brian Altano for a real rollercoaster of an episode. IGN's Nintendo show takes a deep barrel roll into Star Fox Zero (and IGN's review) before circling back to discuss YOUR Questions on the Question Block. Join host Jose Otero, Brian Altano, and Peer Schneider for another fun-filled episode. IGN's Nintendo show returns, but we have a short episode for your this week. Join host Jose Otero, Peer Schneider, and Brian Altano, as the crew talks about their week with Star Fox Zero for Wii U.
IGN's Nintendo show kicks things off with a discussion about the worldwide launch of Miitomo, Nintendo's first app for smartphones. Join Jose Otero, Brian Altano, and Peer Schneider, as the crew discusses the positives and negatives of the app, the controversy that led to the firing of a Nintendo employee, and, after the break, Renegade Kidd co-founder Jools Watsham joins the program to talk about Mutant Mudds Super Challenge and the history of his studio. Nintendo Voice Chat: You Are Now Earthbound! IGN's Nintendo show has a special episode for you! Special guests Reid Young and John Kay of Fangamer and Starment.net join host Jose Otero and Andrew Goldfarb to talk about Earthbound. Learn everything you wanted to know about this special Super Nintendo release, the passionate community it spawned, and how fans are trying to keep the series alive. IGN's Nintendo show returns with a pair of special guests. Host Jose Otero and Peer Schneider are joined by John Ricciardi and Mark MacDonald -- Both are former members of the press who work at a video game localization company in Japan called 8-4 LTD. The crew kicks off the show with a discussion about Nintendo's hip social app, called Miitomo, and Pokemon's recent sales milestone. After the break, the crew takes a deep dive into history and resurrects an old IGN column called Hyrule Times as a special segment for NVC. Join Jose, Peer, Mark and John as they recall video games in the late '90s and the road to Nintendo's epic N64 masterpiece, The Legend of Zelda: Ocarina of Time. This week comedian and writer for The Tonight Show with Jimmy Fallon, Mike Drucker, joins the cast of Nintendo Voice Chat! Drucker used to work for Nintendo Treehouse as a localization writer (and he joined IGN afterward as a writer on Up at Noon). Listen in, as Drucker tells host Jose Otero, Peer Schneider, and Brian Altano stories about his work on Super Mario All-Stars, Kid Icarus Uprising, Mario Party 9, and his surprise contribution to the Legend of Zelda series. After the break, the crew talks about negative feedback surrounding Paper Mario Color Splash, as the crew looks back on the success and failures of the series. Join host Jose Otero, Peer Schneider, and Brian Altano, as the core NVC crew shares their reactions to the recent news and announcements delivered via this week's Nintendo Direct. This week, IGN's Nintendo show has a special double feature for you! First, host Jose Otero. Brian Altano, and Zach Ryan go in depth on The Legend of Zelda: Twilight Princess HD and the upcoming IGN review. Then, after the break Jose is joined by a panel of Pokemon experts: Armando Torres, Miranda Sanchez, and Kallie Plagge join the show to talk about why the series has endured 20 years and the announcement of Pokemon Sun and Moon. IGN's Nintendo show has a special episode for you! First we discuss your feedback to last week's question regarding Nintendo, NX, and E3 2016. Then, we bring you a spoiler-free segment all about Fire Emblem Fates Birthright & Conquest. Join host Jose Otero, Peer Schneider, and Brendan Graeber for another fun filled show. Nintendo Voice Chat: Will Nintendo Reveal NX on Stage at E3 2016? IGN's Nintendo show returns with host Jose Otero, Brian Altano, and Peer Schneider. This week the regular crew talks about the final DLC drop for Smash Wii U/3DS. Peer tells us how nice it is to have Pikachu by your side in Detective Pikachu. Jose shares his hands-on impressions of Zelda: Twilight Princess HD. Then, after the break, teh crew tackles a big topic: EA has announced it's moving its press conference out of E3 2016 regular rotation. Will Nintendo step up and unveil NX on stage at E3? We take a hard look at last year's digital event and come up with our best guesses. Finally, the crew tackles a discussion about Nintendo's next smartphone game after Miitomo. Nintendo Voice Chat: Could Smash Be Coming to NX at Launch? IGN's Nintendo show is back with another episode! This week, Meghan Sullivan joins host Jose Otero, Brian Altano, and Peer Schneider to talk about Final Fantasy Explorers and Linkle in Hyrule Warriors. Then, after the break, the core trio tackles the rumor of a Smash NX launch title (made by Namco) and the news that some changes will be coming to Fire Emblem Fates in the West. IGN's Nintendo Show returns with a two-hour special episode. In the first half, host Jose Otero is joined by Peer Schneider and Jared Petty to talk about Minecraft Stories, Mario and Luigi: Paper Jam, Hyrule Warriors Legends, and a bunch of NX rumors. Then, after the break, special guest Sean Velasco joins Jose and Brian Altano to talk about Shovel Knight's amiibo and more. First two new details dropped yesterday (max rupees count is higher and less tears to collect) based on Famitsu’s four pages of coverage. Wolf Link amiibo is set to unlock a new dungeon, which loosely translates as “The Cave of Twilight.” **This could be big** Reminder: This amiibo is tied to new Zelda. This week, Metroid Zero Mission is finally released on VC. Question from Erik Osborne: "Even though I’ve been a big Nintendo fan for a long time, I've oddly never played a Metroid game outside of a few minutes here and there. I've been thinking of playing through the series due to there not being a lot of games. Would you recommend playing it in order of release, or chronological order story-wise? Thanks, love the podcast." Will Metroid Prime: Federation Force return? Will Samus return in 2016? Join host Jose Otero, Peer Schneider, and Brian Altano for our final episode of 2015. We'll be back in January with a long look at Nintendo's year, but tune in and listen to our impressions of Super Mario Maker's next update, and our thoughts on the last DLC update coming to Super Smash Bros.
IGN's Nintendo show returns, and this week we want to talk about why the crew thinks Mother 4 (aka the next Earthbound game) should be possible. Join host Jose Otero, Peer Schnieder, and Marty Sliva as they discuss Pokemon Picross, backwards compatibility on NX, the potential for a Zelda mobile game and more. IGN's Nintendo show kicks off with some impressions of Nintendo Badge Arcade, Typoman, our late Xenoblade Chronicles X review, and speeding to the finish line in Fast Racing Neo. After the break, the crew discusses recent statements Nintendo President Tatsumi Kimishima made to Time magazine about NX, amiibo, and the future. IGN's Nintendo show returns with a new episode! Join host Jose Otero, Peer Schneider, and Kallie Plagge, as the crew shares their opinions of Mario Tennis: Ultra Smash, Animal Crossing amiibo Festival, and their early impressions of Xenoblade Chronicles X. But there's more: What does Nintendo have in store for Metroid's 30th anniversary in 2016? Tune in to see what we think. IGN's Nintendo show has a LOT to talk about this week. Join us for a detailed discussion of Nintendo's holiday lineup for 2015 and beyond. IGN's Nintendo show returns! Join Jose Otero, Brian Altano, and Peer Schneider, as the regular crew shares their impressions of Yo-Kai Watch, Chibi Robo: Zip Lash!, and more. Then, after the break, the crew talks about Nintendo Account, My Nintendo, and Miiitomo, and how Nintendo needs to re-evaluate how the company facilitates communication. WELCOME to Nintendo Voice Chat! This week, Nintendo shed some light on the future before delaying its first smartphone app until March 2016. Join host Sam Claiborn, Peer Schneider, and Kallie Plaggie, as the crew takes a long look at Miitomo, Nintendo’s quirky communication app, and discusses why it’s a good fit for the Japanese game maker. On this episode, the crew also discusses Nintendo's new account system, checkpoints coming to Super Mario Maker, and the Nintendo games that made the cut in IGN's Top 100 feature. Nintendo Voice Chat: What Does the recent NX News Mean? Sources told the Wall Street Journal that NX devkits have gone out developers, so IGN's Nintendo crew is here to analyze what it means for the future. NX in 2016? Maybe. Two devices that work together, but sold separately? Looks that way. But what else? Join host Jose Otero, Brian Altano, and Peer Schneider as they analyze the news. Then, after the break,Super Soul Bros' Robbie Benson, Brian Shue, and Alex Popoff join the cast of NVC to tell the story behind their jazz-meets-funk band and share their favorite video game soundtracks. Nintendo Voice Chat: Do We Really Want Twilight Princess HD? This week, IGN's Nintendo show has a very special episode focused on Zelda! First, host Jose Otero, Brian Altano, and Peer Schneider share their gameplay impressions of Zelda: Tri Force Heroes (so far). Then, the crew tackles the big question: Do we want an HD remake/port of Twilight Princess right now? Finally, we end the show with another segment of The Question Block. Nintendo Voice Chat returns! Join host Jose Otero, Peer Schneider, and Brendan Graeber have a LOT of games to talk about this week: Lego Dimensions, Yoshi's Woolly World, Shovel Knight Plague of Shadows, Disney Infinity 3.0, and more! Nintendo Voice Chat returns with an injured host! Join Jose Otero and Peer Schneider as they recap Jose's brief career in the Ice Capades, Super Mario Maker's sales numbers, Smash Wii U's new content, Mario Tennis: Ultra Smash's release date, and more. This week we have a special treat for you! Special guests Bill Trinen and Ann Lin from Nintendo Treehouse join the show to discuss their experiences with the Animal Crossing series. Join host Jose Otero and Brian Altano for another fun episode! IGN's Nintendo show has a LOT to talk about this week! Join host Jose Otero, Peer Schneider, and Kallie Plagge, as the crew discusses Nintendo's new president, the internal changes happening within the company, Miyamoto's decision to delay Star Fox Zero, and more. IGN's Nintendo show has a lot to talk about this week. First, host Jose Otero, Peer Schneider, Kallie Plagge, and Francisco Velazquez put out the call for Super Mario Maker levels. Then the crew shares their thoughts on Pokemon Go!, the Xenobalde Chronicles X bundle, and the recent NPD data. Finally, we tackle the subject of Zelda Maker as a followup to Super Mario Maker. IGN's Nintendo show returns! This week, host Jose Otero, Peer Schneider, and Brian Altano dissect the 5 minutes of new footage for Zelda: Tri Force Heroes and the stage Nintendo showed off at PAX. But that's not all! Stay tuned for Runbow impressions, our thoughts on the pair of New Nintendo 3DS bundles announced for North America, and another exciting installment of The Question Block. IGN's Nintendo show returns with a special guest! USGamer's Jeremy Parish joins host Jose Otero, Peer Schneider, and Kallie Plagge to discuss making stages in Super Mario Maker and the 30 year history behind Nintendo's biggest mascot. The crew also discusses the big news from PAX, including the announcement of a Shovel Knight amiibo and what that could mean for the future. IGN's Nintendo show finally takes a deep dive into Splatoon's August update, Rainmaker, and what we think of Nintendo's newest franchise. Join host Jose Otero, Peer Schneider, and Brian Altano for another fun filled show. Note: This was recorded BEFORE the unveling for Pokken Tournament for Wii U at the Pokemon Championships. This week, IGN's Nintendo podcast talks a whole bunch about making Mario. Join host Jose Otero, Brian Altano, and Peer Schneider for a deep discussion about Nintendo's crazy course builder. Jose and Brian also share their experiences and breakthroughs as would-be game designers in the Super Mario Maker IGN Challenge. After the break, we run thorugh a pair of queries in the Question Block. IGN's Nintendo show returns! Join host Jose Otero, Peer Schneider, and Brian Altano, as they discuss Peer's Fire Emblem If experience, Brian's Super Mario Maker madness, and the five video games they feel can be played forever. After that, they close out the show with news. IGN's Nintendo show returns after a week in Japan. Join host Jose Otero, Peer Schneider, and Brian Altano, as the crew discusses two anticipated games in Animal Crossing: Happy Home Designer and Super Mario Maker. Then, after the break, the crew discusses the big August update for Splatoon, the Japanes rollout of Smash Bros next DLC pack, Dragon Quest XI's announcement, and more. IGN's Nintendo podcast has a special episode coming to you from Japan, and its featuring an all-star lineup. Host Jose Otero is joined by the cast of 8-4 Play (Mark MacDonald, John Riccardi, and JJ Epperson) to talk about Fire Emblem Fates, Yoshi's Woolly World, and some of the history behind their localization company. Then, after the break, we are joined by special guest Kikai, the #1 collector of Super Mario merchandise on the planet according to the Guiness book of World Records. With a little translation help from our good friend Kyle Mclain, we talk to Kikai about his hobby and hear some stories behind his favorite items. This week, the crew dedciates the first half of this epsiode to Satoru Iwata, the late CEO of Nintendo who passed away this weekend. Join Jose Otero, Peer Schneider, and Brian Altano as they share their favorites stories about Iwata. After the break, Brian shares some stories from San Diego Comic-Con. This week, IGN's Jose Otero and Peer Schneider kick off the show with impressions of Splatoon's recent Splatfest and Peer's recent import New 3DS. Then, after the break, special guest Bill Trinen, from Nintendo of America, joins the show to talk about the company's presence at Comic-Con and EVO 2015, the recent Nintendo World Championships, and more. This week, host Jose Otero, Brian Altano, and Peer Schneider kick off the show with Fire Emblem If impressions, one of the games from Nintendo Game Seminar 2014. Then, the crew discussed Nintendo's criticsm of Metroid Federation Force's negative reception, our interview with Zelda: Tri Force Heroes director Hiromasa Shikata, the great Miiverse redesign, and the problem with amiibo retail exclusives. Nintendo Voice Chat returns! This week, host Jose Otero, Brian Altano, and Kallie Plaggie round up their final thoughts on E3 before switching gears to discuss Rhythm Tengoku The Best Plus (aka the new Rhythm Heaven game on 3DS in Japan). Afterwards, we finsih off the podcast with a brief news segment. We also answer one burning question about Smash Bros. DLC pricing on The Question Block. Nintendo Voice Chat: Live from E3 2015! IGN's Nintendo show is coming to you live from E3 2015 in Los Angeles. Join host Jose Otero, Peer Schneider, and Brian Altano for thier opinions of what Nintendo showed at E3 this year. A few months ago, the crew of Nintendo Voice Chat dropped some E3 2015 predictions. But host Jose Otero, Peer Schneider, and Brian Altano are NOT done. Now it’s time to take a look at what Nintendo has on the horizon. We look back at last year's Digital Event and analyze what we think they’ll show during the presentation on Tuesday, June 16 at 9:00 AM PT. Make sure you keep up with all of our coverage on IGN's E3 2015 hub page. Brian Altano rejoins host Jose Otero and Peer Schneider this week to talk about his adventures in Europe, Splatoon, and the Android NX rumor that could change everything. This week, IGN's Nintendo Voice Chat gets a little more intimate. Host Jose Otero and Peer Schneider read your Codename NX predictions and discuss amiibo, Splatoon, and E3. Wired.com's Chris Kohler joins the cast of NVC to talk about his first book, titled "Power Up: How Japanese Video Games Gave the World An Extra Life." He joins host Jose Otero, Peer Schneider, and Sam Claiborn for a fun episode where the crew discusses Splatoon and Nintendo's E3 plans. This week, host Jose Otero, Peer Schneider, and Brendan Graeber kick off this epsiode with impressions of Splatoon. Then, after the break artist David Hellman and writer Tevis Thompson join us to talk about Second Quest, a graphic novel that draws interesting inspiration from The Legend of Zelda: Skyward Sword. Special guest Ryan Payton, a designer at developer Camouflaj, joins host Jose Otero, Brian Altano, Peer Schneider to talk about Xenoblade X, Splatoon’s post-launch plans, and a bunch of news that broke at the Nintendo Investor’s Meeting. After the break, we play a special guessing game regarding Nintendo’s next console. Want to play along? Email us at nvc@ign.com and fill out the following categories (along with a brief description for each category). Controller: The console is the controller, bruh! Touch screen, too. Special thanks to listeners Josiah, Bryce, Paul (the one from England), Charlie Gadson, and Robby for emailing us. This week, Nintendo Voice Chat is running... a little late, but that doesn't mean you're getting an inferior show. Join host Jose Otero, Peer Schneider, and Brian Altano for another fun filled epsiode. Peer gives his impressions of the StreetPass games (Ultimate Angler and Battleground Z), and Brian unveils his 5 Nintendo E3 2015 predictions. The crew also jumps into another exciting edition of The Question Block. Host Jose Otero is joined by Peer Schneider and Marty Sliva for a special E3 2015 predictions show you don't want to miss. What is Nintendo cooking up for E3? Who knows. But this three-person cast brings their best guesses to the table. Then, after the break, the crew dives into YOUR questions onThe Question Block. Nintendo Voice Chat starts off with a huge bummer. Last week, Nintendo delayed The Legend of Zelda Wii U, and the Japanese game maker made the decision to not show the game at E3 2015. Join host Jose Otero, Peer Schneider, and Brian Altano, as they commiserate over the news. Then, the crew switches gears to talk about April's Nintendo Direct. But you're only getting half the story this week. Tune in next week for part two of our Nintendo Direct recap. Peer Schneider, Brian Altano, and special guest Andrew Goldfarb join host Jose Otero for another exciting edition of Nintendo Voice Chat. The crew dives a little deeper into last week's discussion about the deal between DeNA and Nintendo. Also on this epsiode: Brian tells the story of his recent visit to NoA HQ, Jose talks about Splatoon, and more. Host Jose Otero is joined this week by IGN editor Mitch Dyer and mobile app developer Francisco Velazquez for a deep dive into the recent partnership between Nintendo and DeNA, the games they'd like to see adapted for smart devices, and speculation about NX, the new dedicated gaming system based on a brand new concept, and if we'll really hear more about it in 2016. All that, and a special question of the week in this episode of Nintendo Voice Chat. Special guest Mark MacDonald rejoins the cast of Nintendo Voice Chat to talk about the challenging process of translating Japanese games for the West. Host Jose Otero, Peer Schneider, and Mark trade impressions of Mario vs. Donkey Kong: Tipping Stars and Code Name: S.T.E.A.M. Then, after the break, the crew tackles some of your queries once again on the Question Block. IGN opened it's door to the community on February 26, 2015 and hosted a live show for your favorite Nintendo podcast. Join host Jose Otero, Peer Schneider, Brian Altano, and Sam Claiborn get together for a special epsiode. This week, the crew builds a list of the Top 10 3DS games with the help of the audience. But wait there's more! You can win a New Nintendo 3DS of a Monster Hunter statue by listening to this epsiode. Tune in for details. Nintendo Voice Chat: A New 3DS Launches! IGN UK Editor Daniel Krupa joins the regular cast of Nintendo Voice Chat (Jose, Peer, and Brian) to discuss New 3DS transfer stories, Monster Hunter 4 Ultimate, Nintendo's presence in Europe and the UK, and the live-action Netflix series the WSJ revealed last week. Sam Claiborn picks up hosting duties on Nintendo Voice Chat this week. He is joined by Peer Schneider and Fran Mirabella to discuss amiibo, the lack of voice chat in Splatoon. Then the crew looks back on the original review of Majora's Mask for Nintendo 64. Nintendo Voice Chat: What's Next for Nintendo? This week, the Question Block segment returns to your favorite Nintendo podcast! But this episode isn't just about Q&A. Join host Jose Otero, Brian Altano, and Peer Schneider, as they share hands-on impressions of New Nintendo 3DS XL, what they think of Code Name S.T.E.A.M. 's new demo, and the analysis of the recent numbers from Nintendo released to its investors. This week on Nintendo Voice Chat, host Jose Otero, Brian Altano, and Peer Schneider bid farewell to Club Nintendo, as the customer loyalty program rides off into the sunset in 2015. But that's not all! We also wrap up last week's Nintendo Direct news with discussions about Splatoon, Xenoblade Chronicles X, Project Treasure, and hands-on impressions of Zelda: Majora's Mask 3D. This week on Nintendo Vocie Chat, the regular crew of Jose Otero, Peer Schneider, and Brian Altano tackle the tough questions about New Nintendo 3DS and this week's Nintendo Direct. Why no AC Adapter? Is the smaller model coming to the US? Should you buy a system on day one? What's going on with crossbuy in 2015? Near the end of the show, we talk about the announcement of a new Fire Emblem for 3DS. Stay tuned next week for everything else we missed! Nintendo Voice Chat returns in 2015! Welcome back. This week, host Jose Otero, Brian Altano, and Peer Schneider are back from holiday break. We close out our discussion of Nintendo in 2014 and list our most most anticipated game for the coming year. The season finale of Nintendo Voice Chat is here! Join host Jose Otero, Brian Altano, and Peer Schneider for part one of our special 2014 year in review. This week, we start the show with more painful tales from our quest to hunt down amiibo at US retailers. Then, after the break, the crew discusses a lot of the big games that came out in 2014. Thank you for supporting the podcast! We'll kick off 2015 with the second part of our year in review special. This week, the crew of Nintendo Voice Chat spends nearly 30-minutes discussing Zelda Wii U. Join host Jose Otero, Peer Schneider, and Brian Altano, for a deep conversation on the merits and mistakes of Nintendo's latest Zelda footage. Then, after the break, the crew talks about Nintendo's recent holiday sales numbers, the uncertain fate of 3DS, and their personal struggles with amiibo-fever. Nintendo Voice Chat: Too Much Water?! IGN's Nintendo podcast brings you a special episode focused on two big games. Up first, host Jose Otero, Brian Altano, Marty Sliva, and special guest Kallie Plagge have a deep discussion about Pokemon Omega Ruby/Alpha Sapphire, our review, and some feedback on where we'd like the series to go. Then, after the break, Marty kicks off a discussion about Captain Toad: Treasure Tracker and his review. The regular team of host Jose Otero, Brian Altano, and Peer Schneider are reunited once again this week on Nintendo Voice Chat. The crew deeps dives into Sakurai's recent comments about Ridley in Smash Bros, and Nintendo's quick moves to bring amiibo -- its new toy's-to-life product -- to market. All that plus the Question Block. Check it out! The core NVC team is reunited this week! Host Jose Otero is joined by Brian Altano and Peer Schneider to talk about Xenoblade Chronicles X's massive world, Splatoon single-player mode, Mario Kart 8's November DLC, and preview impressions of Smash Wii U and Captain Toad: Treasure Tracker. After the break, Jose and Brian dive into reader queries in the Question Block. Wired GameLife editor Chris Kohler joins the cast of Ninendo Voice Chat! Listen in as Kohler, host Jose Otero, and Peer Schneider discuss Majora's Mask, Code Name S.T.E.A.M., Nintendo's amiibo figure plan, and more. Chief Creative Office of Quantum Entanglement Entertainment Denis Dyack joins the cast of NVC this week to talk about some of his work as a GameCube developer. Also in this episode, host Jose Otero and Peer Schneider discuss Nintendo's second quarter financial results. This week, host Jose Otero, Peer Schneider, Marty Sliva, and special guest Daisy, weigh in on Nintendo's 50+ modes and features for Smash Wii U. Then, after the break, the crew discusses the wild, violent world of Bayonetta 2. Mitch Dyer joins host Jose Otero and Brian Altano for the first half of this special epsiode of Nintendo Voice Chat to discuss some recent news including the Smash specific GameCube Controller Adaper, Mario Kart 8's upcoming November DLC, Pokemon Omega Ruby & Alpha Sapphire, and Jose's New Nintendo 3DS impressions after a week with an imported system. Then, in the second half, Peer Schneider and special guest Perrin Kaplan jump in to discuss her memories and reflections as former VP of corporate communications for Nintendo. This week, former Factor 5 president Julian Eggebrecht joins host Jose Otero and Peer Schneider on Nintendo Voice Chat. Tune in for a first-hand account focused on the early days of the studio and hear stories about their journey to make Star Wars games for LucasArts. Eggebrecht also shares stories of Factor 5 work with Nintendo on GameCube including some unreleased Star Wars games that they had to walk away from. It's been 4 years, 1 month, 2 days since Metroid: Other M's release in North America, and while the galaxy may be at peace, the Nintendo Voice Chat podcast isn't done hoping for a new entry in the series. Join host Jose Otero, Brian Altano, and Peer Schneider for a special epsiode where we deep dive into the Metroid games. Brian Altano re-joins the cast of NVC this week to talk about his adventures in Japan. But that's not all, listen in as he tells host Jose Otero and Peer Schneider all about his hands-on time with New Nintendo 3DS at Tokyo Game Show. There might be a story about an earthqauke too! Then, after the break, listen to some discussion of IGN's verdict on the Super Smash Bros. for Nintendo 3DS. Host Jose Otero is joined by Peer Schneider and Marty Sliva this week! The crew drops some impressions on Hyrule Warriors and Smash 3DS before they share some theories for the upcoming Wii U version. Later in the show, they tackle the news and some great listener queries on The Question Block. Respected commentator and Meleeitonme.com contributor Kris "Toph" Aldenderfer joins the cast of Nintendo Voice Chat this week! He joins host Jose Otero, Peer Schneider, and Brian Altano, as they trade impressions and opinions of the new Smash Bros. for Nintendo 3DS. The crew takes a deep dive into the roster, some modes, the competitive scene, and a lot more. Host Jose Otero, Peer Schneider, and Marty Sliva are reunited in the podcast studio this week. While Brian Altano is away, the crew gathers to discuss Mighty No. 9, PAX Prime 2014, Bayonetta 2, and community queries on The Question Block. PAX is happening this weekend and we have an EXTRA SPECIAL Nintendo Voice Chat just for you! Samuel Claiborn, Peer Schneider, Brendan Graeber, Jose Otero, Brian Altano, and special guest Mark MacDonald. Tune in for impressions of Mario Kart 8 recent update, Layton Vs. Wright, figuring out Nintendo's New 3DS, and more. Join host Jose Otero, Brian Altano, and guest Marty Sliva for another fun epsiode of Nintendo Voice Chat. This week, the crew discusses Azure Striker: Gunvolt, it's 8-bit cousin Mighty Gunvolt, Marty's recent Splatoon editorial, and more. IGN editor Mitch Dyer makes his Nintendo Voice Chat debut this week. He joins host Jose Otero and Brian Altano to particpate in the longest Question Block segment we've ever done. But that's not all you get this week! Tune in for impressions of SteamWorld Dig for Wii U, a spoiler free chat about Hyrule Warriors, and the news of the week. Respected video game collector Steven Lin joins host Jose Otero and Brian Altano to talk about the departure of Nintendo's Indie boss, Mario Kart 8 Update + DLC, and Bayonetta 2. After the break, the crew dives into some of the rarest Nintendo games ever made. Brian Altano returns to Nintendo Voice Chat with some impressions of games he played at San Diego Comic-Con. Host Jose Otero, Peer Schneider, and Brian also discuss Nintendo's recent financial numbers, the overload of information about Hyrule Warriors, NES Remix 1+2's retail package, and the 25th anniversary of the Game Boy in the US. 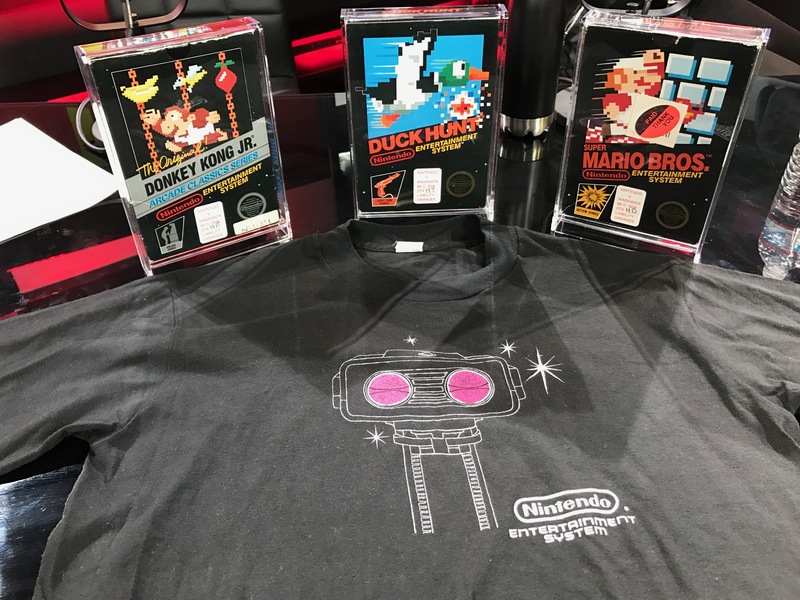 This week on NVC, host Jose Otero and Peer Schneider talk about our most prized Nintendo-related items with developer Mike Mika. Nintendo Voice Chat: The Death of Club Nintendo? This week NVC starts off with a second round of post E3 impressions for Kirby and the Rainbow Curse, Captain Toad: Treasure Tracker, and Smash Bros. 3DS. Afterwards, the crew switches gears to discuss some recent Nintendo news. Join host Jose Otero, Peer Schneider, Brian Altano, and Marty Sliva for another fun episode of IGN's Nintendo podcast. The cast of Nintendo Voice Chat is back for a regularly scheduled format this week! Join host Jose Otero, Peer Schneider, and Brian Altano as they share brief final thoughts on Star Fox, The Legend of Zelda's next big step as a vast open world, and another installment of The Question Block. The cast of Nintendo Voice Chat shoots for the stars this week! Listen to host Jose Otero, Peer Schneider, and Brian Altano discuss the Star Fox series. We begin with what made the original Super Nintendo game such a special piece of Nintendo history. But the journey doesn't end there. We also discuss why Star Fox 64 was the pinnacle of the series, the disappointment of Star Fox Adventures, and more. So strap in, do a barrel roll, and get ready for a very special episode. Colin Moriarty joins the cast of Nintendo Voice Chat this week to talk about why Shovel Knight is his favorite game of 2014 (so far). Kick back and Colin, host Jose Otero, Peer Schneider, and Brian Altano, as they trade impressions about the latest games and news from Nintendo. Part two of Nintendo Voice Chat's E3 2014 extravaganza continues with the return of an extra special guest: IGN's Fran Mirabella makes a return appearance on NVC to talk about his participation in a special Smash Bros. competition during E3. He joins host Jose Otero, Peer Schneider, and Tim Gettys to roundup IGN's E3 2014 coverage. We discuss the E3 lineup, the third-party problem, and what Nintendo didn't show at E3 this year. The Nintendo Voice Chat is coming to you live from E3 2014! Join host Jose Otero, Peer Schneider, Brian Altano, and Sam Claiborn for a one-hour discussion about Nintendo's E3 offerings. We'll follow up with anotehr round next week and cover anything we missed then. Mario Kart 8 has a solid sales start, but that's not the only discussion happening on Nintendo Voice Chat this week. E3 is here. And we have major expectations for Nintendo this year. Host Jose Otero is joined by Peer Schneider and Brian Altano, as the trio discuss the things they want to see from Nintendo at E3 (and maybe even some things they don't want to see). Mario is driving a Mercedes-Benz! The 16-players participating in the Smash Bros. Invitational at E3 have been revealed! But wait, there's more. Nintendo lifted the veil on some other suprises this week. So join host Jose Otero, Brian Altano, and Peer Schneider as they break down some of the bigger news stories of the week. After that, stick around for this week's Question of the Week. IGN's Nintendo podcast brings you a very special episode this week. Join host Jose Otero, Peer Schneider, and Brian Altano as they remember the recently disabled Nintendo Wi-Fi Connection with Todd Northcutt, former General Manager for GameSpy Technology -- the company that built Nintendo's DS and Wii online infrastructure. After that, stick around for the news and a few reader queries in our Question Block segment. IGN's Nintendo vets Samuel Claiborn, Brian Altano, Peer Schneider and Marty Sliva discuss the recently announced Skylanders-like NFC figurines and then take a trip to past Nintendo E3 announcements, five years at a time: 2009, 2004, 1999, 1994. IGN's Nintendo crew assembles! Join host Jose Otero, Brian Altano, Peer Schneider, and special guest Greg Miller, as they tour through all the latest Wii U woes, the recent Pokemon remake news, and more Mario Kart 8 impressions. WELCOOOME to Nintendo Voice Chat! This week, host Jose Otero, Brian Altano, and Peer Schneider focus on all the recent, exciting news: Mario Kart 8's bundle and why its online modes are relevant, plus more GBA games are coming to Wii U's Virtual Console. We also spend a lot of time talking about Nintendo's three-pronged strategy for E3 2014. But that's not all! Will Nintendo unveil some type of new hardware at E3? Tune in and listen to what we've been hearing on the matter. Nintendo Voice Chat's regular cast of contributors are reunited, and we have a lot to talk about! This week, Jose Otero, Brian Altano, and Peer Schneider recap some the recent news for Super Smash Bros and Tomodachi Life, and then we talk about why WarioWare Inc. is one of the greatest games of all-time. In the final segment, our panel answers some of your queries in another installment of The Question Block. This week, the Nintendo Voice Chat podcast jumps into the fast lane with a bunch of preview info for Mario Kart 8. Join host Jose Otero, Peer Schneider, Marty Sliva, and special guest Greg Miller, as we share our impressions and check out IGN's comprehensive coverage right here. Thanks to the effort of our awesome listeners, the new segment on Nintendo Voice Chat has a name! But there's more news to talk about than just that. Join host Jose Otero, Brian Altano, Marty Sliva, and Tim Gettys, as we discuss Nintendo (and Sony) at PAX East, the grim future of the Yoshi's Island series, and more. Special thanks to podcast listener beyondthestars_scr and everyone else that sent in questions and name suggestions for this podcast segment. Nintendo Voice Chat: Game Developers Unite! The annual Game Developers Conference comes to San Francisco! Host Jose Otero is joined by Peer Schneider and Sam Claiborn to talk about Nintendo's recent indie offerings. On Thursday, March 13, 2014, IGN hosted a StreetPass event and recorded a live Nintendo Voice Chat. Join host Jose Otero, Peer Schneider, Sam Claiborn, Brian Altano, and Marty Sliva for an hour of conversation and hysterics. The big topic for this podcast? 2D vs. 3D: Our Favorite Nintendo Franchises Face-Off. IGN Nintendo assembles and makes some changes to your favorite podcast. This week we debut a revamped episode structure, so tune in join Jose Otero, Brian Altano, Peer Schneider, and Marty Sliva for impressions of DK Tropical Freeze and Yoshi's New Island, the latest news, and a returning segment idea from one of the best video game podcasts ever made. This week, NVC #LetTimHost. Join Tim Gettys, Brian Altano, Peer Schneider, and Greg Miller as they talk about the challenging platforming of Donkey Kong Country Tropical Freeze, the weird world of Twitch Plays Pokemon, and the Shutdown of Nintendo Wi-Fi Connection. The Year of Luigi is coming to an end soon, so this week NVC looks back on Nintendo's first yearlong character theme. Host Jose Otero, Peer Schneider, Brian Altano, and Tim Gettys also briefly look back on Luigi's memories. But bigger questions loom in 2014: Will Nintendo approach E3 with a media briefing or bet it all on another Nintendo Direct presentation? We also read community feedback for what you want to see from the next Metroid game. The illustrious Fran Mirabella joins the cast of Nintendo Voice Chat to talk about Nintendo Direct, The Future of Metroid Prime, and a special segment where we ask him some tough questions. Join Peer Schneider and Jose Otero, as they journey into the future of Nintendo's cult favorite franchise. IGN gathers to talk about the future of Nintendo. Join Jose Otero, Brian Altano, Marty Sliva, and Peer Schneider as they trade opinions and theories about Nintendo's recent investor meeting. IGN Nintendo is making big predictions for 2014. Join Jose Otero, Peer Schneider, Marty Sliva, and the NVC debut of video producer Tim Gettys, as they stare into the future and deliver 20 predictions they expect from Nintendo this year. Welcome to our first official show of 2014! Join Jose Otero, Peer Schneider, and Brian Altano, as they discuss the biggest surprises and disappointments from Nintendo in 2013. So you thought NVC was done with 2013, well it turns out Nintendo wasn’t done with us. Host Jose Otero is joined by Peer Schneider, Brian Altano, and Marty Sliva for a spirited discussion focused on the Nintendo Direct that happened on 12/18. We hit a new record of three f-bombs in this episode, so please put the kids to bed before listening. Check out what we think about Hyrule Warriors, Kirby Triple Delux, Chibi Robo, NES Remix, Rosalina in Smash Bros, and more. Happy holidays and see you next year! NVC121313: Episode 196 or 244?! Season’s greetings NVC listeners! Join host Jose Otero, Peer Schneider, and Brian Altano for our final episode of 2013. This week, we discuss which item should be dropped from future Zeldas, Nintendo’s low Wii U sales, the brilliance of Sega’s 3D Classics, and Miiverse on 3DS. Also, you should be warned that there’s a pretty big Zelda: A Link Between Worlds spoiler tucked away at the end of the show. NVC's Zelda: A Link Between Worlds spoilercast is here! Jose Otero, Peer Schneider, Brian Altano, and special guest Greg Miller get together to talk about Link's adventure through Hyrule, Lorule, and everything in between. Marty Sliva joins host Jose Otero and Peer Schneider to answer your listener emails. Happy holidays! Hey! Listen! Keza MacDonald joins the cast of NVC this week (Jose, Brian, and Peer) to participate in a spoiler-free discussion of Zelda: A Link Between Worlds and we trade some more stories of multiplayer mayhem in Super Mario 3D World. Learn more about the 4th Annual Nintendo World Report Child's Play Telethon here. IGN news editor Andrew Goldfarb joins the regular cats of NVC (Jose, Peer, and Brian) to talk about art in The Legend of Zelda and his recent Pokemon Y adventures. The crew also chats about your Question of the Week responses and the recent Nintendo Direct from Novemeber 13th. Host Jose Otero, Peer Schneider, and Brian Altano are joined by IGN's newly crowned King of Fitness, Brian Albert, to talk about Wii Fit U, Wii Sports Club, Super Mario 3D World, and more. Rise Koopalings and join host Jose Otero, Peer Schneider, Sam Claiborn, and Colin Moriarty, as they talk about one of the great franchises of the 8-bit era: Konami's Castlevania. Sonic takes center stage this week on NVC. Host Jose Otero is joined by Peer Schneider, Brian Altano, and Vince Ingenito to talk about the divisive Sonic Lost World, Brian's Pokemon Adventures, and your responses to our previous question of the week. NVC is back! Join host Jose Otero, Peer Schneider, Meghan Sullivan, and special guest Francesco Dagostino, as they trade impressions on Nintendo 2DS, Pokemon, Rune Factory 4, and talk about the latest Zelda news from NY Comic-Com. Speedrunner extraordinaire Cosmo Wright joins host Jose Otero, Peer Schneider, and Brian Altano for a special episode dedicated to the release of The Legend of Zelda: Wind Waker HD. This week on NVC, host Jose Otero and Peer Schneider are joined by a pair of special guests: IGN Video editor extraordinaire Brendan Graeber and Managing Editor Chuck "Built Like a Machamp" Osborn. The foursome gather together to discuss Phoenix Wright 5, Scribblenauts Unmasked, Japanese Candy, and this week's news. NVC! Japan! A match made in heaven! Join host Jose Otero, Keza MacDonald, Kyle McClain, and Andrew Alfonso, as they talk about the passing of Hiroshi Yamauchi and a deep dive into the Monster Hunter phenomenon. Nintendo Voice Chat returns! And this week, we talk about everyone's favorite thing: the dreaded top ten list! Join host Jose Otero, Brian Altano, Peer Schneider, and Sam Claiborne, as they discuss this week's controversial IGN feature about the top 25 Nintendo 3DS games. They also chat about Jose's upcoming trip to Japan, Monster Hunter 4, and this week's eShop releases. This week, host Jose Otero, Brian Altano, Peer Schneider are joined by erstwhile IGN video dude extraordinaire Brian Malkiewicz, as they chat about The Wonderful 101, Rayman Legends, eShop releases, Kickstarter projects and more. Shoutout to Peer for pulling this program together at the last minute. During last week's podcast, we wondered what Nintendo would do as they entered the Fall season. Well, it looks like they responded. There's a new addition to the Nintendo 3DS family, a Wii U price cut, and a bunch of other announcements. Join host Jose Otero, Brain Altano, Sam Claiborne and the return of former IGN editor Craig Harris, as they dissect all Nintendo's latest moves for the crucial holiday season. Nintendo Voice Chat: What Should Nintendo Do Now? USGamer's Jeremy Parish joins IGN's Jose Otero, Brian Altano, and Peer Schneider to discuss a recent editorial he wrote regarding the current state of Nintendo. It's no secret that Wii U sales have stalled, but what's Nintendo's next move? Afterwards, Jose and Jeremy trade impressions on The Legend of Zelda Wind Waker HD, which they both played earlier this week at Nintendo. This week Nintendo Voice Chat says goodbye to Richard George, as he heads off onto new challenges and endeavors. But where is Rich going, you ask? Listen in, and join Jose Otero, Brian Altano, and Peer Schneider as they bid farewell to an IGN all-star. Even though goodbyes are always hard, the show must go on. Marty Sliva joins us in the second segment to talk about The Wonderful 101, Pikmin 3, and the surpring eShop release SteamWorld Dig. IGN editors team up to dissect August 7th's Nintendo Direct. Host Jose Otero is joined by Brian Altano, Richard George, and Sam Claiborne, as the crew spends a long amount of talking about Zelda and other announcements. Also, get ready for NVC's first question of the week segement. Submit an email to ign_nvc@ign.com with your answer for Altano's question and we might read your response on the show. Nintendo Voice Chat: Your Pikmin 3 Questions Answered! Back by popular demand, the Nintendo Video Chat podcast returns this week! Join host Jose Otero with special guests Brian Altano, Brendan Graeber, and the retun of the mighty Richard George. We tackle your Pikmin 3 questions for this episode. Please leave us feedback on IGN or iTunes and let us know how we're doing. Nintendo Voice Chat Returns to Talk About Earthbound! Everyone's favorite Nintendo podcast re-emerges this week, but with a few surprises. IGN's Jose Otero takes over hosting duties for a special NVC mini-episode with guests Brian Altano, Andrew Goldfarb, and Marty Sliva. The crew gathers to talk about last week's major Wii U Virtual Console release, Earthbound. It took 19 years for Earthbound to slip out of the Nintendo vault. Thankfully, you won't have to wait as long for the next episode of this podcast. Leave us feedback and let us know what you think. Metroid Prime turned ten on November 18, 2012. IGN's original reviewer and old-school Nintendo crew celebrate Retro Studios' masterpiece with a trip back to Talon IV. With two weeks of Wii U and sooooo much Pilgrim food under our belts, the Nintendo Video Chat Team is back to discuss our favorite new Nintendo console, the Wii U. (Sorry, Wii Mini!). This week IGN's Nintendo-leaning professionals, Samuel Claiborn, Richard George, Brian Altano and Audrey Drake discuss New Super Mario Bros. U. Spoilers: We love it! And also there are some actual spoilers in this episode. Mainly about what you unlock when you beat Bowser. IGN discusses the Wii U hardware and reviews for Ninja Gaiden, New Super Mario Bros. U and Nintendo Land.